Contemporary retreat on desirable Blythewood Drive. 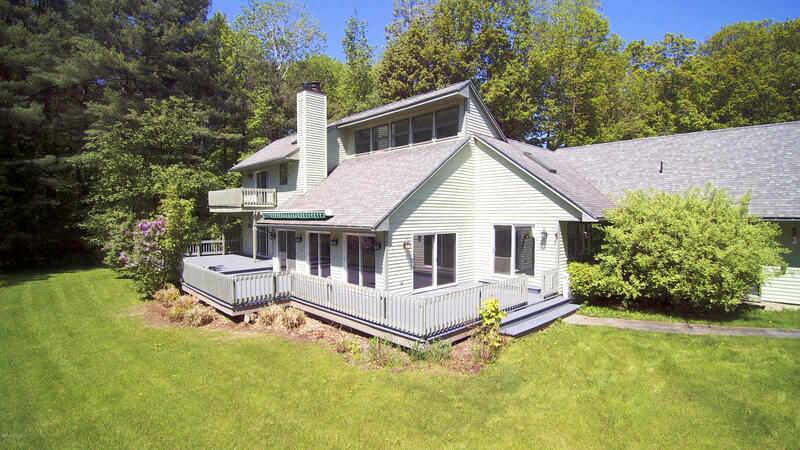 Set on 4.8 private acres, this renovated home offers an open floor plan and expansive outdoor space. The first floor boasts an eat-in kitchen, sunny living area, separate dining room, large master suite, laundry room, and two more bedrooms with a hall bath. Upstairs you will find a bonus loft space, perfect for a playroom or office, along with a second master suite with its own balcony overlooking the backyard. The wrap-around deck looks upon a beautiful yard with mature perennials, a water fountain, and an underground dog fence, offering seamless indoor/outdoor living. A new barn with wood-burning stove is a great work space or 3+ car garage. Close to Onota Lake and downtown Pittsfield, this home offers a sense of space and tranquility.